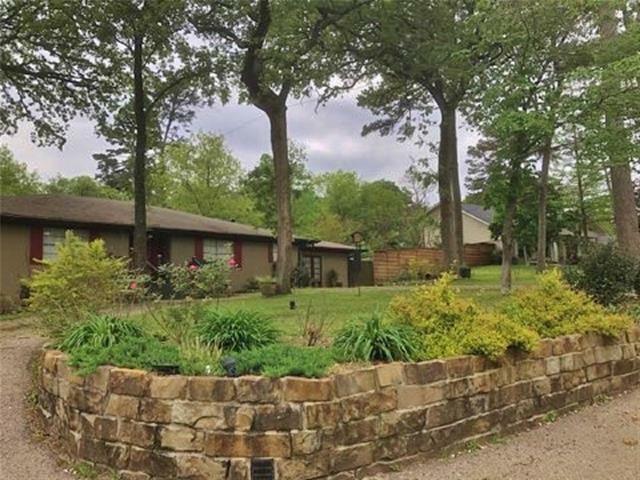 All Hideaway homes currently listed for sale in Hideaway as of 04/24/2019 are shown below. You can change the search criteria at any time by pressing the 'Change Search' button below. If you have any questions or you would like more information about any Hideaway homes for sale or other Hideaway real estate, please contact us and one of our knowledgeable Hideaway REALTORS® would be pleased to assist you. 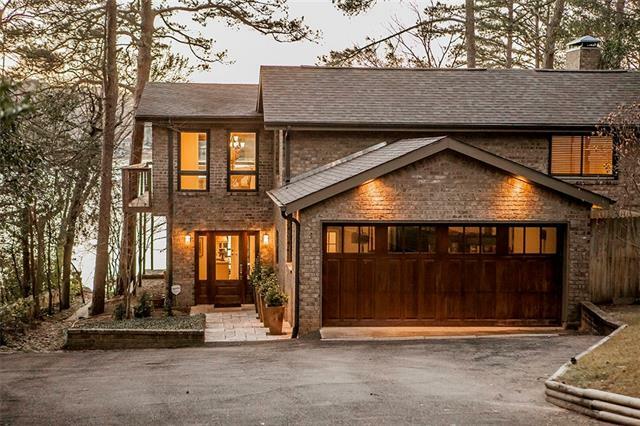 "Exquisite craftmanship meets superb design in this custom built lakeside retreat on Hideaway Lake gated community. On entering the double doors you are greeted by a 35 ft stone fireplace and wall of windows with unparalleledd views of the lake and spectacular sunsets. First floor features formal dining with see thru fireplace, kitchen with granite, walk in gun safe in a safe room. 4 bedrooms, 4 baths, 4 fireplaces. The master suite with fireplace and balcony will showcase romantic sunsets. Medi"
"Luxury waterfront living at Hideaway Lake Club. Enjoy the lakes of Hideaway, the golf course, tennis courts, swimming pool, club house, dining room and grill...all fun-filled amenities. This lovely home has exceptional views from the 3 decks as well as most rooms. 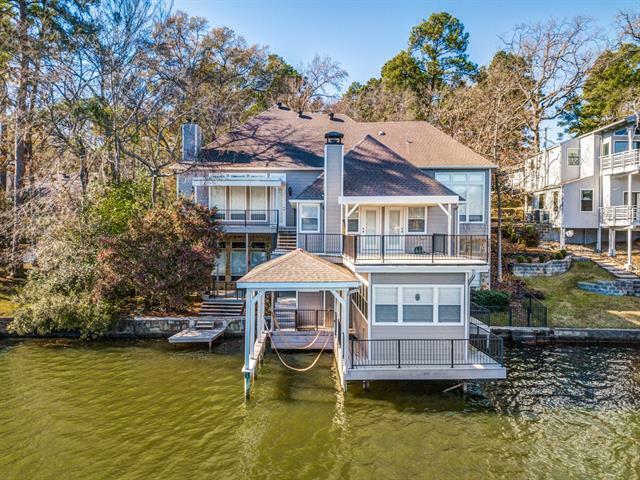 Abundant windows, rich hardwoods, gourmet kitchen, spacious rooms, treed lot, boathouse with lift are but a few of the features of this outstanding lake home. 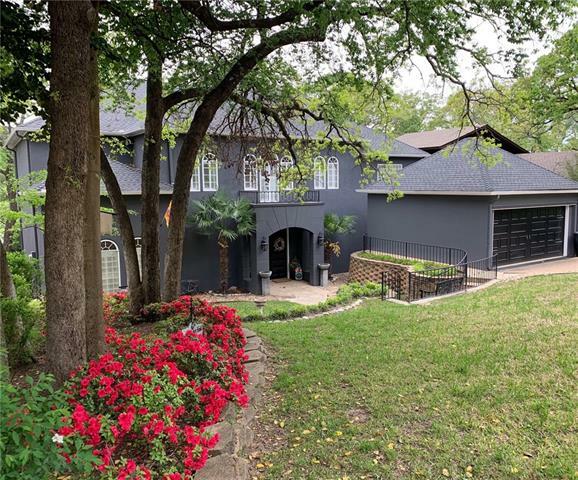 Original home constructed in 1975; has been beautifully added on to since th"
"Unique mix of Waterfront lake property, laid back community with a high end, artistic and very contemporary home! This home will truly take your breath away with the wall to wall windows overlooking the most beautiful view of the big lake ! Home boasts of Very High, hard wood ceilings, lovely unique tile flooring, three stories with master suite occupying the bottom floor! Master suite has living area, office, master bath boasting of huge walk in spa , steam shower as well as jetted tub. 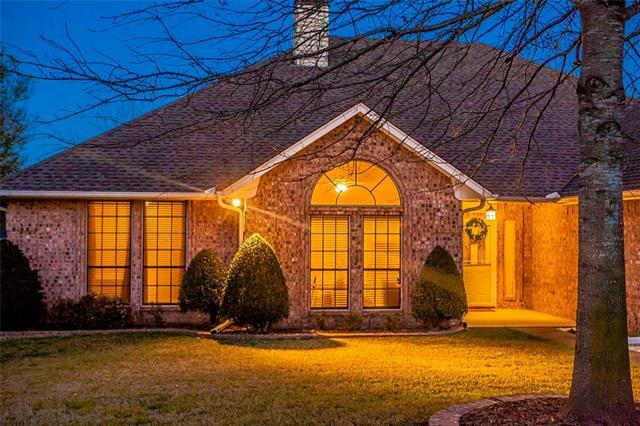 Walk in"
"Stunning 3BR, 3.1BA Tuscan retreat on private 27-hole golf course. Open living-dining area boasts ceiling that soars to 22 feet, large windows capturing golf course views, floor-to-ceiling stone fireplace, formal open dining, wet bar. Gourmet kitchen has brick barrel-vaulted ceiling, large granite island-countertops, high-end appliances, painted Tansu cabinetry, butlers pantry and adjoining office. Master suite gas fireplace, luxurious master bath with dual vanities, walk-thru marble shower, lar"
"Gorgeous Waterfront Home in Hideaway Lake! Amazing outdoors on extended patio while overlooking the Lake with boat house, wide deck, fire pit and built-in grill for Summer-time BBQ's. Enjoy great community amenities & neighborhood. 2-car garage & plenty of storage. Hardwood floors, crown moldings, upgraded lighting & designer finishes complement this light & bright open floor plan. Pane Glass doors all across the back of the home with a unbelievable view. Spacious family great room was designed "
"Beautiful, truly one of a kind waterfront home in Hideaway Lake. 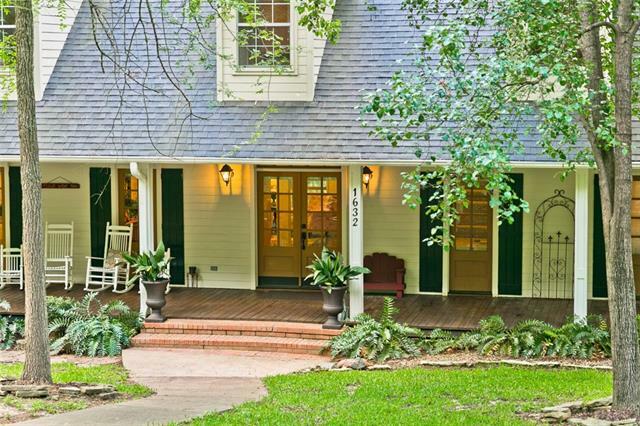 This home has been completely updated and artfully designed with every possible amenity. 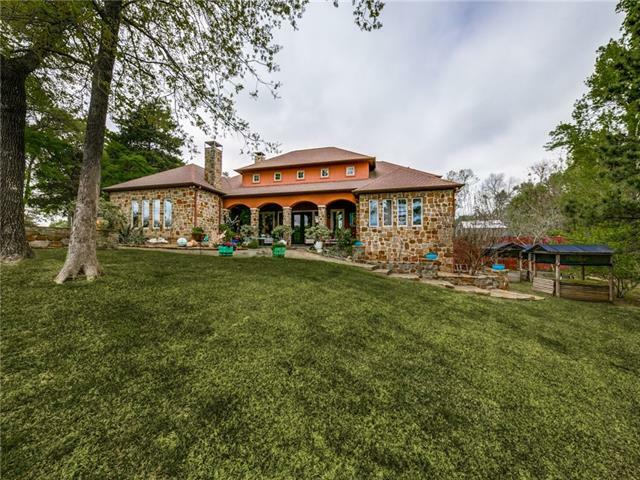 Lovely Travertine floors, multiple living spaces, coffee bar, beautiful custom kitchen with copper farmhouse sink, first floor master with amazing en suite bath and a wonderful outdoor space for entertaining- complete with sunken hot tub and one of the best views of the lake! 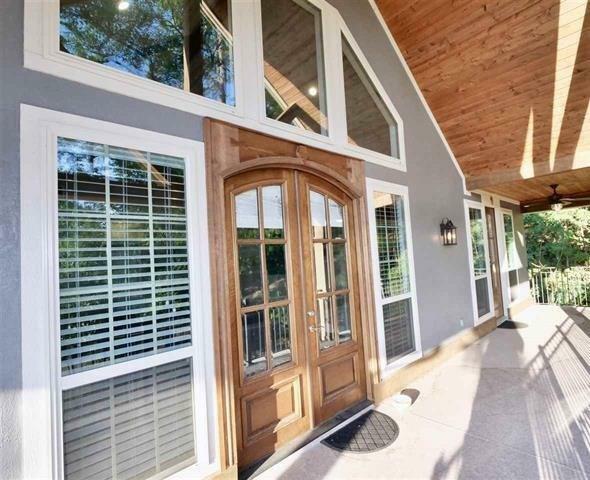 This amazing lake home with plenty of space for friends and family is"
"WOW, Breath taking views of the large lake in Hideaway. Postioned on the desired west side of the lake. A wall of new windows, providing beautiful views. 3 bedrooms, 3 bath and 2 car carport with additional parking. Stainless steel appliances, granite, custom cabinets. Hard wood floors. Updated colors. Master bedroom and bath both overlooking the lake. Open Floor Concept with a custom built walk-out deck to enjoy this fabulous setting. Separate sitting area off of master bedroom with electric f"
"Home is located in gated community with private security. Large colonial two story with wrap around porch, rear balcony overlooks back yard. House has appx. 4000 sq. Ft. It has 4 bedrooms 3& half baths & private study. Custom cabinets, tile and wood laminate floors . Home sets on two large wooded lots all sprinklerd and well landscaped. Over sized two car garage with lots of storage. 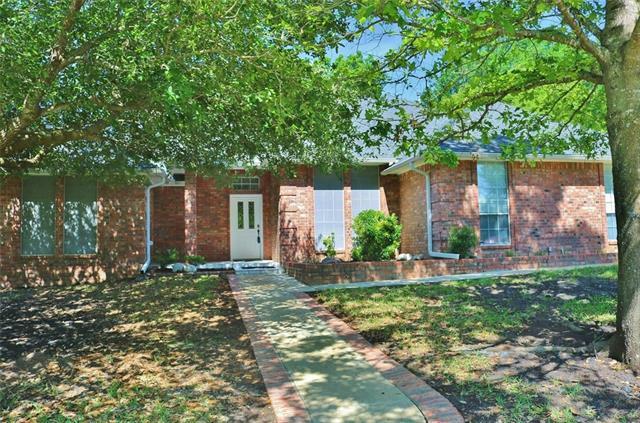 This house was custom built and is well maintained. HOA Amenities: tennis courts, golf course, clubhouses, pool, "
"EXTRAORDINARY better than new home will captivate you from moment you enter. Stunning details and finishes don't end, from inviting colors and flooring to elegant granite and marble design choices. Lower level holds guests rooms spacious living space, wet bar area and walk out access to covered patio. Dream kitchen is complete with dumbwaiter and oversized granite covered island. Main living area vaulted, wood lined accented by built-ins surrounding gas log fireplace. 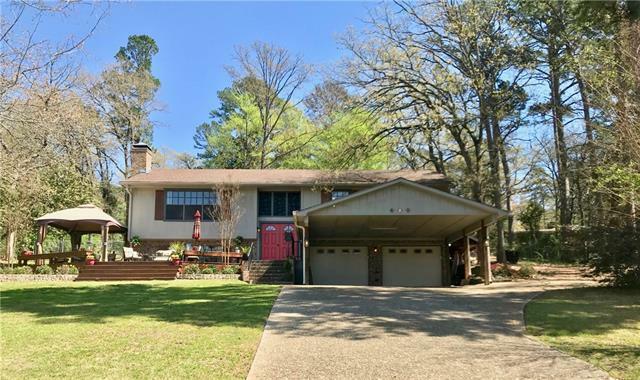 HUGE master leads you to b"
"This amazing Southern Living style home sits on a 1.2 acre wooded lot in the exclusive Hideaway Lake subdivision and boasts unparalleled character and charm! This home has it all, including huge front porch; double front doors; spacious cook's kitchen with island, granite, subway tile and huge pantry; wood floors; 2 dining areas; spacious living room with 12 ft. ceilings and wall of windows overlooking the wooded backdrop; master suite with wood floors, clawfoot tub-sep. shower and his-her walk-"
"Beautiful show stopper in Hideaway! Artfully designed with beautiful finishes, & an abundance of space, this home is an entertainer's dream that provides comfort and elegance. Nestled against a wooded backdrop on a double lot with a meandering creek overlooking the West course. Indoors find 2 living areas, a fully equipped media room, 4 BRs, 3 BTHs, office and an abundance of storage space. Large kitchen with Corian countertops, tile backsplash, custom cabintry, and amazing butlers pantry. Gues"
"GREAT LOCATION ON HIDEAWAY LAKE CLUB'S EAST GOLF COURSE. 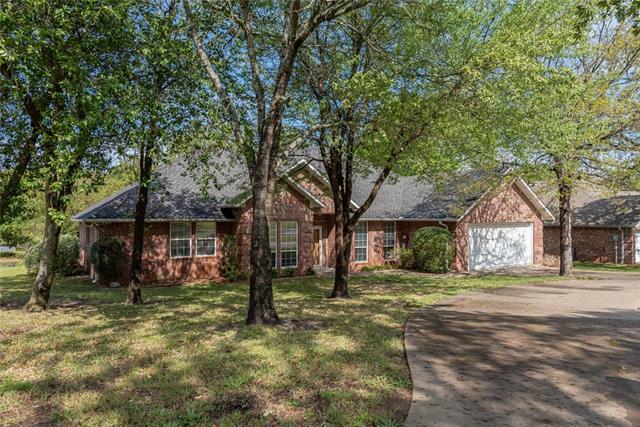 4 BEDROOMS, 2.5 BATHS THE FAMILY ROOM, BREAKFAST AREA, KITCHEN & MASTER BEDROOM OVER LOOK # 1 GREEN & # 2 TEE BOX & 2 PONDS. LARGE WALK-IN PANTRY. LOTS OF STORAGE. ENTRY FOYER HAS BUILT-IN BOOKCASE. LARGE FAMILY ROOM W HIGH CEILING. 2 EAST FACING LARGE COVERED & OPEN PATIOS. KITCHEN HAS GRANITE COUNTERTOPS, TILE BACKSPLASH, HAMMERED COPPER DOUBLE SINK, LARGE ISLAND, DOUBLE OVENS & LOTS OF STORAGE W PULL OUT DRAWERS. BIG MASTER BEDROOM. MA"
"Welcome home to this beautiful, elegant WATERFRONT retreat! 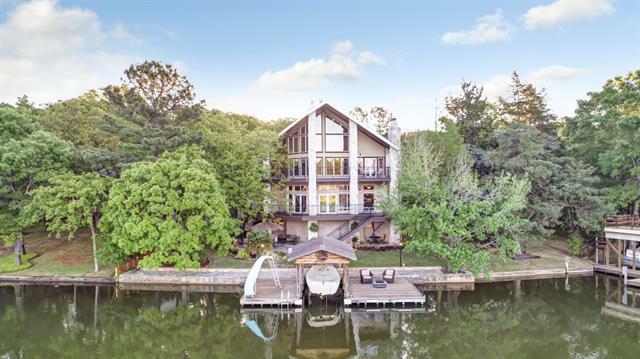 On the lower level find the open concept family room with a large wood burning fireplace kitchen and dining area, plus a half bath, all overlooking spectacular views of the lake! The Chef's Kitchen features unique and beautiful tiled backsplashes, granite counter tops, an abundance of custom cabinetry and dramatic crystal chandeliers! Master bedroom with en suite bath and balcony offer breathtaking views of the lake. 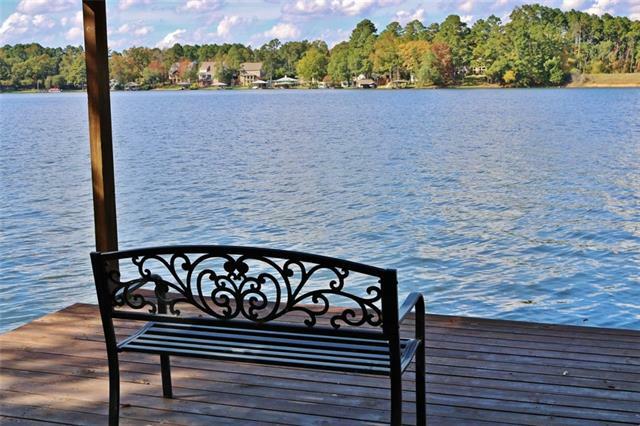 Two additional gues"
"Fantastic water view lot in gated secure Hideaway Lake. Everything new in this complete remodel. Two levels with separate entrance to each. Great for guests or mother-in-law. Two bedrooms upstairs on the main level. Huge 3rd bedrm, full bath and walk-in closet on lower level. Beautifully appointed and ready for move-in. One car garage and carport. Large circular driveway. Picture windows throughout with lake views from almost every room. Master suite has large sitting area, beautiful ba"
"New Construction with a great floor plan and conveniently located within close proximity to parks and clubhouse. Wonderful layout with open floor plan, an abundance of natural light from the walls of windows, and upgraded features. Generous master suite with recessed ceilings and luxurious bath. Kitchen to offer granite counter tops, two walk-in pantries and an abundance of cabinetry storage space and SS appliances. Builder upgrades include energy efficient foam insulation and front and back spr"
"Unique lake house tucked away in a private lake cove. Boat house w lift and workshop. Flagstone drive and retaining wall. Spacious upper and lower decking. Picture window throughout entire home with great views from most rooms. 4 living or transitional spaces. Large kitchen. Bose speakers. Great storage space. Best fishing spot in HAWL. Mstr and guest upstairs and 3rd bdrm downstairs. Bring nature indoors! Gated community with golf, lake activities, tennis, social clubs, security and more"
"There are water views from almost every room of this 2,334 SqFt home. Upstairs you'll find an open concept living, dining & kitchen area complete with center island capable of seating 5. Host your next gathering with plenty of counter space, lots of storage, leather finished granite countertops & breakfast nook-dining area. Rounding out the upstairs space are 3 guest rooms & 2 baths. Downstairs, the owners suite is complete with gas fireplace, walk-in closet & ensuite that boasts double vanity &"
"Beautiful custom home over looking the #9 Fairway in scenic Hideaway Lake on a lovely half acre golf course lot at the end of a quiet cul-de-sac. Large family room anchored by a custom fireplace complete with built-ins and a beautiful wood carved mantle. Spacious formal dining room just off of the entry and a completely updated kitchen with granite counters, island, tile back splash, double ovens, and custom cabinetry. The large tiled patio space makes entertaining a breeze. A split floorplan of"
"Fantastic views of the water on Hideaway's coveted middle lake! 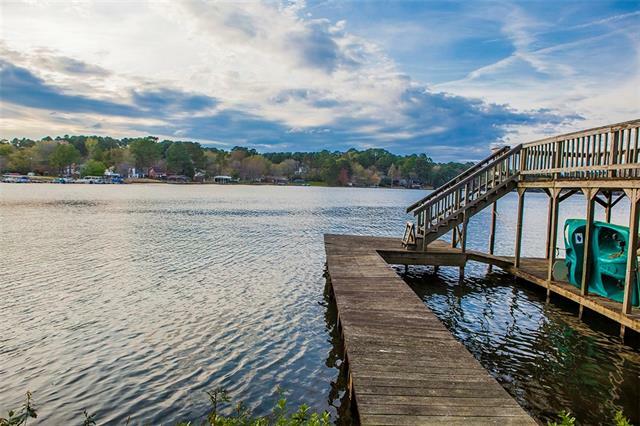 Wonderful opportunity to purchase a waterfront home at a great price point and make it your own! Sun room extending along the rear of the home, spacious rooms, large kitchen,skylights, a beautiful lot and boathouse with sundeck. Lots of potential to put your personal touches on this solid home with good bones. Come see today!" "Waterfront with a farmstyle-cottage flare! 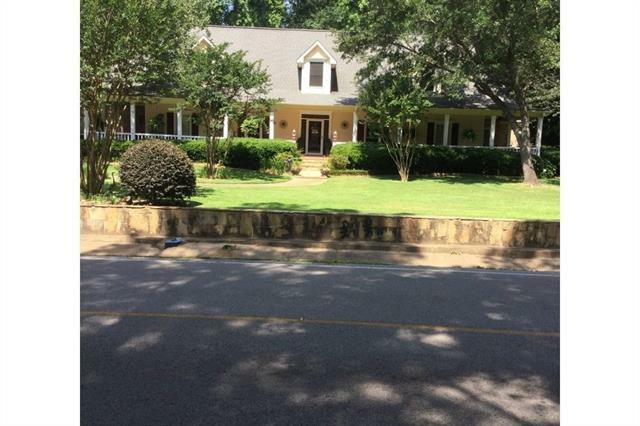 This home has such great potential at a price you rarely find for waterfront property! Two living areas or den can be used as fourth bedroom. Kitchen opens to dining and living area, master has great water view and exits to nice deck area for late night talks or Morning coffee! Huge Covered front porch great for entertaining as well! 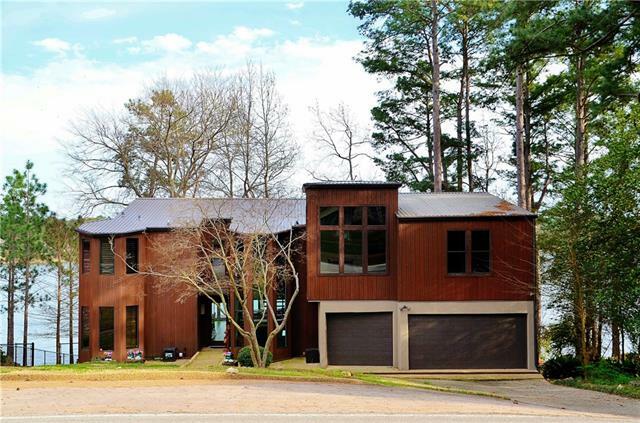 This home has soaring ceilings in living area with wonderful large fireplace and awesome view of the lake! 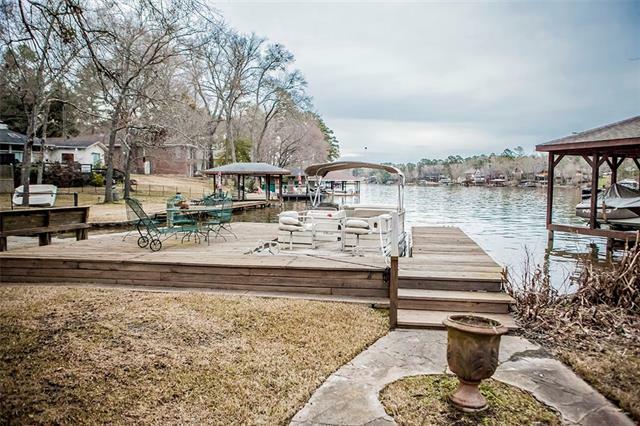 Three or four "
"Resort Lifestyle, gated community, 3 stocked lakes, 3 golf courses, beaches, boat docks, parks, onsite dining; all within a short drive from Dallas! This custome built home boasts of custom cabinetry in the kitchen; featuring pull out drawers and appliance garages. The family room, features a gas log fireplace surrounded by custom cabintry and bookshelves. There is plenty of storage throughout the home. Crown Moulding featured in most rooms, neutral paint and carpet thourghout. 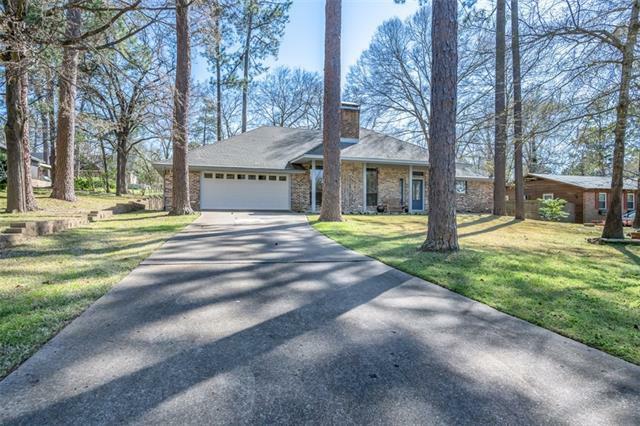 The garage has "
"Beautifully updated, tall ceilings, hand scraped wood flooring, open and spacious living room with a separate wet bar and fully remodeled kitchen: granite countertops, new Italian marble back splash, electric and USB outlets, pantry, top of the line stainless steel appliances and breakfast bar. New lighting fixtures, ceiling fans, hardware and faucets. Fresh paint throughout. You won't run out of room with all the extra storage!! Sunroom-breakfast nook. Sprinkler system, covered gutters and fres"
"Are you looking for a place to relax? The sunroom is a great room full of energy efficient windows to enjoy nature and your hot tub with separate entrance from your Master Suite Retreat includes walk-in shower, jetted tub, separate walk-in closets, dual sinks. 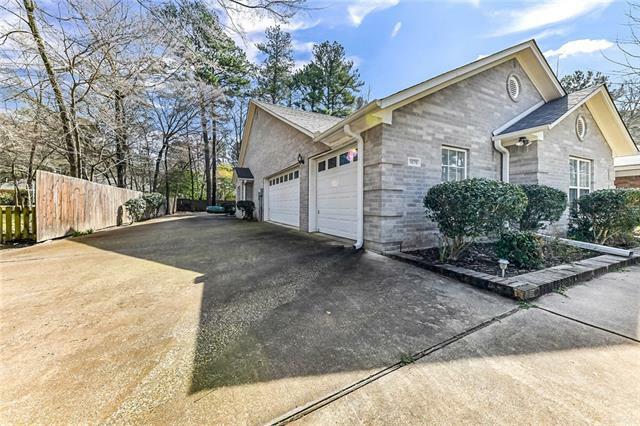 Rare find in Hideaway with oversized Driveway for parking, 3 car garage, with extra room for workbench, freezer, laundry room is oversized with sink and storage. Open concept with kitchen featuring Granite, Stainless steel appliances lot"
"Looking for a completely updated home in Hideaway Lake? 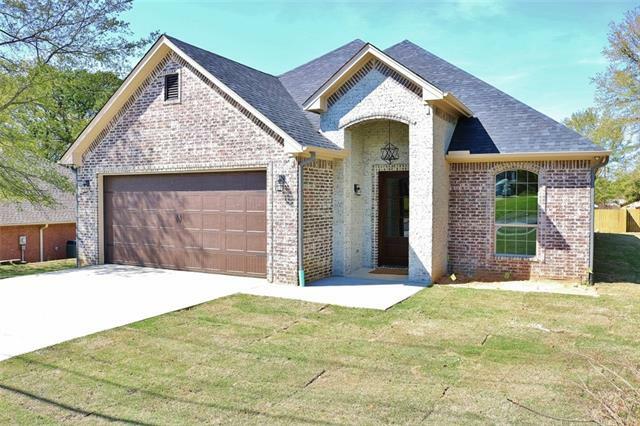 Home has extra large living room with built in bookcases and desk area, brick fireplace and opens onto a large covered patio area. Amazing gourmet kitchen with granite counters, large island, copper sink, stainless appliances, gas stove top, and lots of cabinets and counter space. A large media room off the kitchen could be used as a 4th bedroom with built-in bunks and a large closet. With access to one of the patio areas, the large master "